Judging and Voting. – My thoughts on a page. 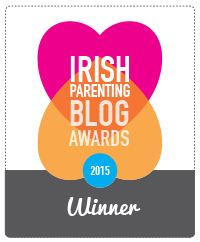 In two days time I will be going to the Irish Parenting Blog Awards. I am a finalist in four categories, but having been to awards before I am ready to come home empty handed, although I can’t promise I’ll not burst into tears. I have practised my Oscar ‘you won feck all’ face, and all I can say is, I’m not a great actor. The great thing about the awards is that I am going to get the chance to meet so many of the bloggers I converse with online everyday, either via my posts or facebook. Some of them I feel I know so well and I’m looking forward to having a real chat with no typing involved. Others I’m a bit blurry about, as in who is who, who has what blog, and who has which children, so that should make the night interesting. We are kicking off lovely and early, as in six o clock early, with drinks, a meal and then the awards. Chances are with such an early start, I just might have over indulged by the time the awards are announced, and I suspect I will not be alone. I mean a bunch of bloggers, many of them out for the first night in weeks without a baby in tow, having drinks at 6pm, surely that equals trouble. There has been much talk online about fashion and nails, hair dos and fake tans, none of which I’ve been able to join in with. There has also been the very serious side of all this, the judging of blogs. I am very conscious that many deride parenting bloggers. They are often belittled and dismissed as ‘mummy bloggers’. Having spent a huge amount of my time over the past few weeks reading many blogs, some personal, some parenting, some crafty and others all of the above, I have been taken aback by the quality of the blogs and the variety of posts. 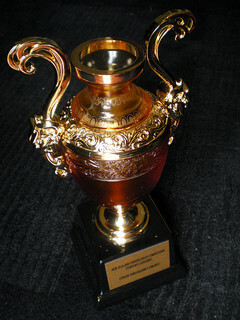 To demonstrate this I’d like to share with you links to the top twelve posts in the final for best blog post. Some will make you cry, others laugh and others will inspire you. 1.A Modern Mummys World. Our NICU experience. 2.At the Clothesline. The time I bought a life size giraffe. 4.Bumbles of rice. Celebrating the day we became parents. And finally my own post, selected by my readers. 12. My life in words. Even if you only read the titles you can see, there is a lot more to parenting blogs than you might have thought. Drum roll…I am a winner! I know, I was whispering that when I wrote this. Told my OH today that it began at that time and he still hasn’t closed his mouth! Ah thanks so much, that means a lot! I’ll buy one and pretend! What a great night we will have. See you Sat. Besta luck. Have a ball. I think you are avoiding me. I have no doubt we will. Enjoy your very poorly timed holidays. And vice verse. We are all good bloggers and I loved your post. A post that lives after you read it says it all. Your post certainly did that, and it’s lovely to know you had a happy ending. Pingback: Irish Parenting Bloggers | Judging and Voting. Best wishes, Tric! What a wonderful list. Thank you for the namecheck! And best of luck to all. I’ll be surprised if you come home teapotless, honestly. Thank you. Best of luck to us all. Such a pity you can’t hop on a plane and appear! Some day….I lived in Ireland once for 13 days…..doesn’t that qualify me. 🙂 It’s count down time! Please don’t tell me you’re wearing a dress!!! Oh most definitely not wearing a dress. Stressed at the amount of grooming going on among some of my fellow bloggers, but I’m going ‘natural’. Never say never. I have little doubt you will make it to Ireland again some day. OH so relieved for you that a dress is not necessary. Thanks for the mention Tric.Looking forward to meeting up with you again over a few drinks!I am fully convinced you ‘ll be going home clutching a lovely teapot. Thanks Aedín. Loved this post of yours. What a great night we’ll have tomorrow. Have a lorra fun, tric. Come back and share all the craic with the ‘group’. And besta luck. personally, i love the parenting blogs. there is so much wisdom and truth and humor to be found there. you are a perfect example of this. best of luck to you, tric. you know i’m in your corner. Good luck to you and all the finalists. I enjoyed every read! Keep it up. Thank you. I’ll let you know come Monday how it all went. Thanks so much for the mention, and I don’t think you need worry, I’m expecting that you will go home with a brace of teapots! I can’t deny it would be lovely to win something, but the competition is fierce. Whatever the results I suspect there will be a lot of fun tomorrow.